beauty equipment in the beauty Salon or SPA. 1.Suitable for disinfecting small articles, like nail tools, beauty tools, hair-beauty tools, etc. 2. Novel and beautiful design,and easy to operate. 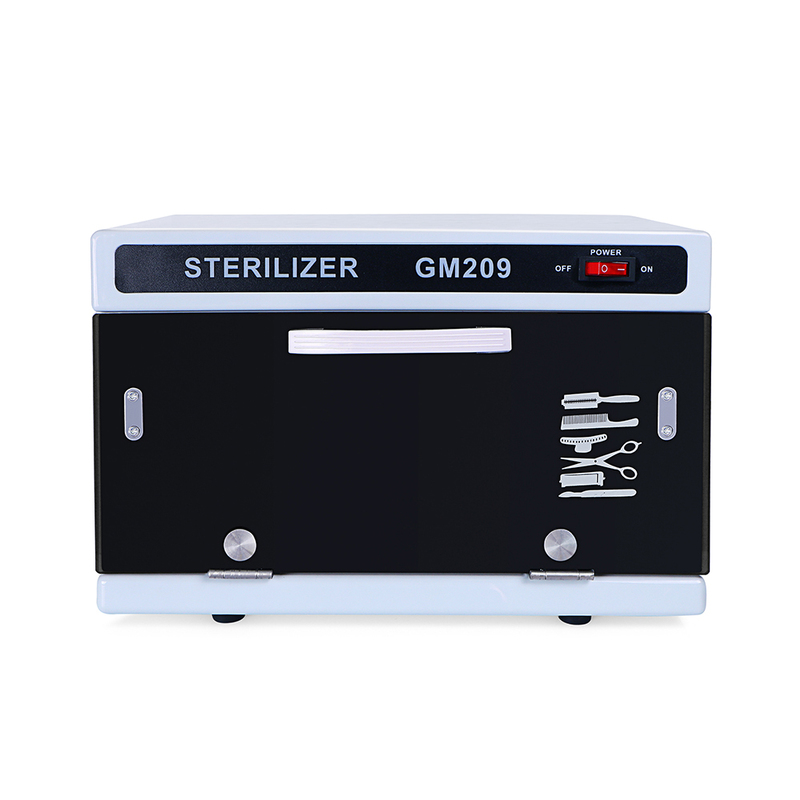 3.The sterilization and heat preservation function is convenient to switch, and the indicator light can know the working status at any time. 1.It is safe and convenient .And removable racks and water tray can store tools and easy to avoid dripping. 2.This product is suitable for hairdressing instrument, glass, metal ware, plastic instrument, etching and other small articles.It is also used to store items that have been removed.